A Young Doctor Tends To His Patients In Rural Alaska : Shots - Health News Dr. Adam McMahan comes to Klukwan, a tiny town in Southeast Alaska, just two days a week. But he's come to know his patients well, and attends to more than just their medical needs. 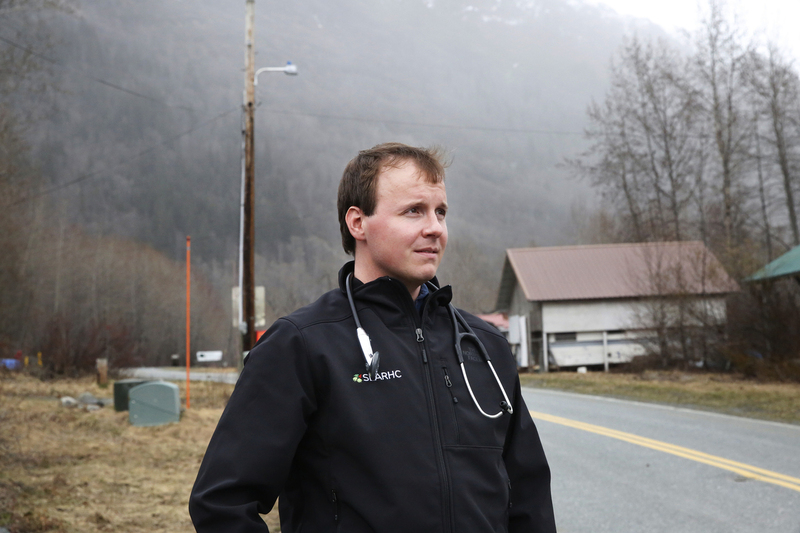 Dr. Adam McMahan has been practicing medicine in rural Alaska for three years. It's the kind of intimate, full-spectrum family medicine the 34-year-old doctor loves. It's a speck of a town alongside the Chilkat River in Southeast Alaska, framed by snowy mountains that loom in the distance. 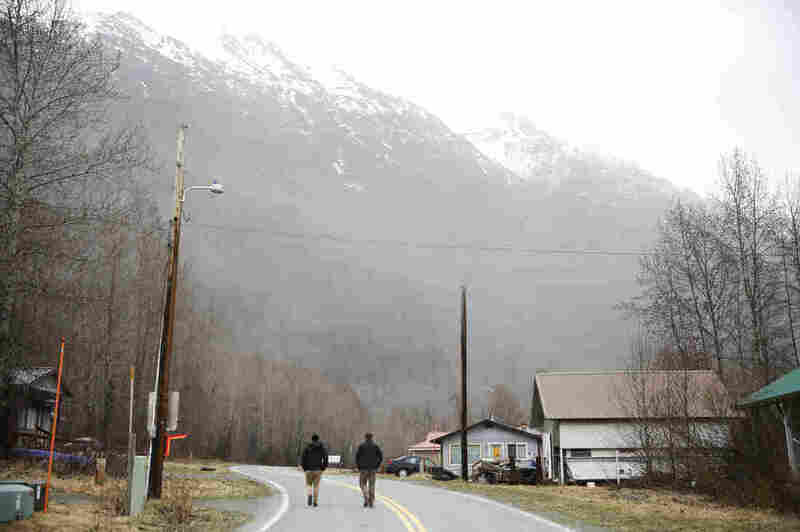 The village of Klukwan is populated mostly by Alaska Natives of the Tlingit tribe, and has fewer than 100 residents. It sits along the Chilkat River in Southeast Alaska. 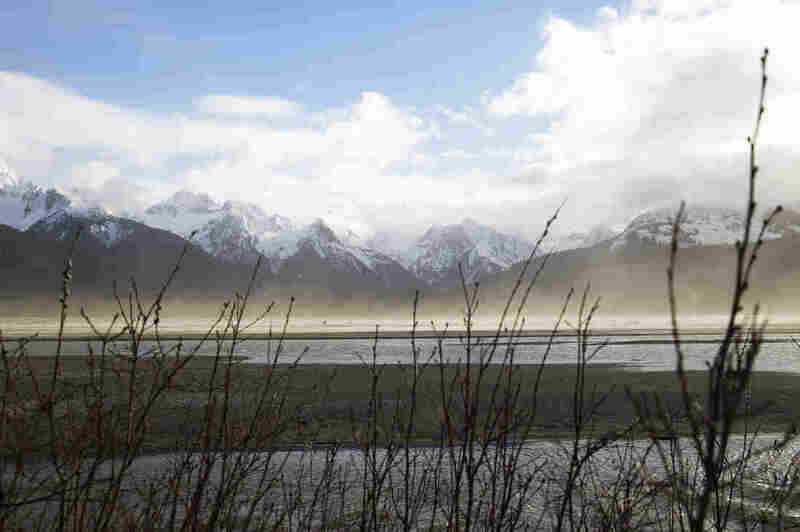 The clinic staff drives up to Klukwan twice a week from the bigger town of Haines, 22 miles to the south. On our drive, McMahan points out the clouds of dust blowing off sandbars along the river: "Likely today we'll see somebody with a lung issue because of the sand coming off the river." Klukwan is populated mostly by Alaska Natives of the Tlingit tribe, fewer than 100 people in all, with a few hundred more people in the surrounding area. Over the three years that he's been practicing medicine in Klukwan, McMahan has come to know his patients well, and that becomes clear as he begins the day's consultations. With fisherman Henry Chatoney, he wonders, "Hey, did you find a deckhand?" And knowing that Everett Simons grows great potatoes and has been put on a low-starch diet for his diabetes, the doctor joshes, "How often are you sneaking a potato?" This is the kind of intimate, full-spectrum family medicine the 34-year-old doctor loves. "I know that Everett, he's an amazing potato farmer," he says. "I know that Henry is full of adventures and has fished Bristol Bay for longer than I've been alive. You get to know your patients as human." McMahan can trace his inspiration to become a physician back to a striking series of black-and-white photographs he saw in a magazine when he was a teenager. His grandfather was a pediatrician and had a 1948 issue of Life magazine on a shelf in his office. The photo essay by W. Eugene Smith, "Country Doctor," shows a dedicated general practitioner tending to his patients in rural Colorado: making house calls, taping up broken ribs, stitching wounds. "Those stills were really captivating," McMahan says. "I was looking at those the other day and they're not that different than what we do now here in Alaska." The Klukwan clinic is open on Tuesdays and Thursdays. It's part of the Southeast Alaska Regional Health Consortium, or SEARHC. The clinic has two exam rooms, a dental suite and a small lab for basic diagnostics. "A lot of it is doing the best we can in the moment with limited resources," McMahan says. "I can't send you down the street to go see a cardiologist. I can't get a CT [scan] done in 10 minutes." On the day we visit, McMahan is seeing mostly elderly patients, including one, a Tlingit elder named Evelyn Hotch, who is confined to her bed after a stroke. So with stethoscope looped around his neck, McMahan walks down the road to pay her a house call. Once we're inside her home, the first thing Evelyn Hotch does is offer all of us a snack: dried red seaweed. "You came to an Indian house," she says, "and this is what Indians like to eat!" It's only after McMahan has shared her seaweed and inquired about the grandchildren whose photos cover just about every inch of her walls that he turns to her medical issues, asking about pain and what supplies she needs. "We'll see you next week, OK?" he says as he heads out. 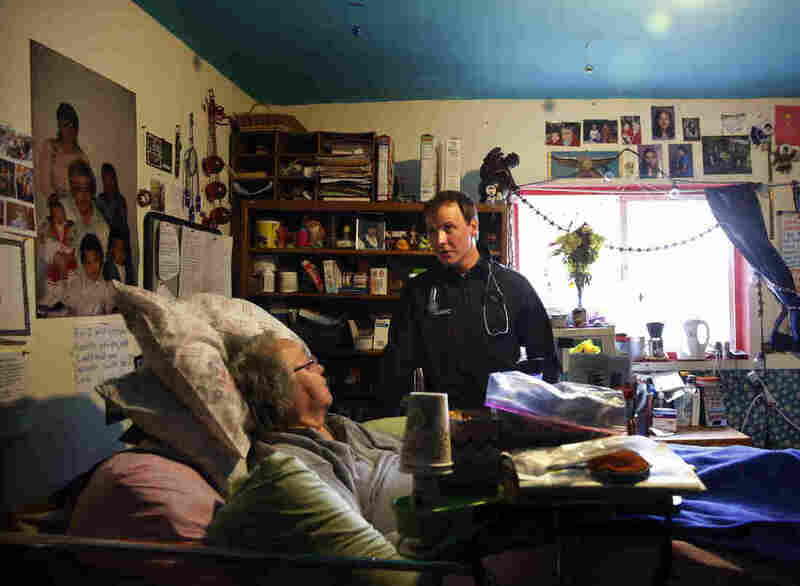 McMahan pays a house call on a Tlingit elder named Evelyn Hotch, who is bedridden after a stroke. The goal with regular primary care like this is to keep people out of the emergency room. But in such a small, remote town, what happens in an emergency? There's a volunteer ambulance squad that will drive up from Haines, about a half hour away. Haines doesn't have a hospital, though, so critically ill or injured patients might need to be medevacked by Coast Guard helicopter from Haines to Juneau. "The vibratory effect of that, when your heart rate's beating fast and you've got a really sick patient, hearing the helicopter, hearing the blades, is such a relief," McMahan says. Once a patient makes it to Juneau, he or she might still need to be flown by air ambulance to bigger hospitals in Anchorage or Seattle, hundreds of miles away. "The Rubik's Cube of resource coordination and transport is probably one of our biggest challenges," McMahan says. In part because of these complicated logistics, Alaska has some of the highest health care costs in the country. For people who don't have health insurance, "it's often cause for catastrophe, financially," McMahan says. 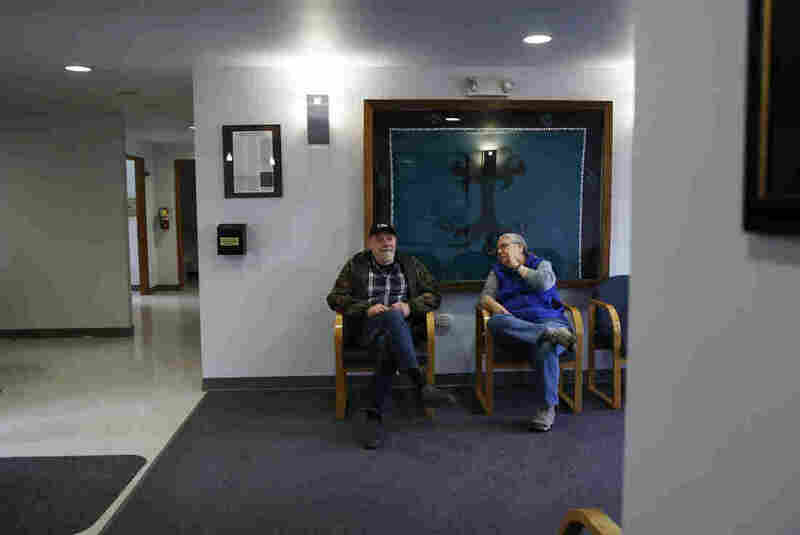 But, he adds, since Alaska expanded its Medicaid program in September 2015 under the Affordable Care Act, he is able to treat patients now who had gone for years without access to primary care. 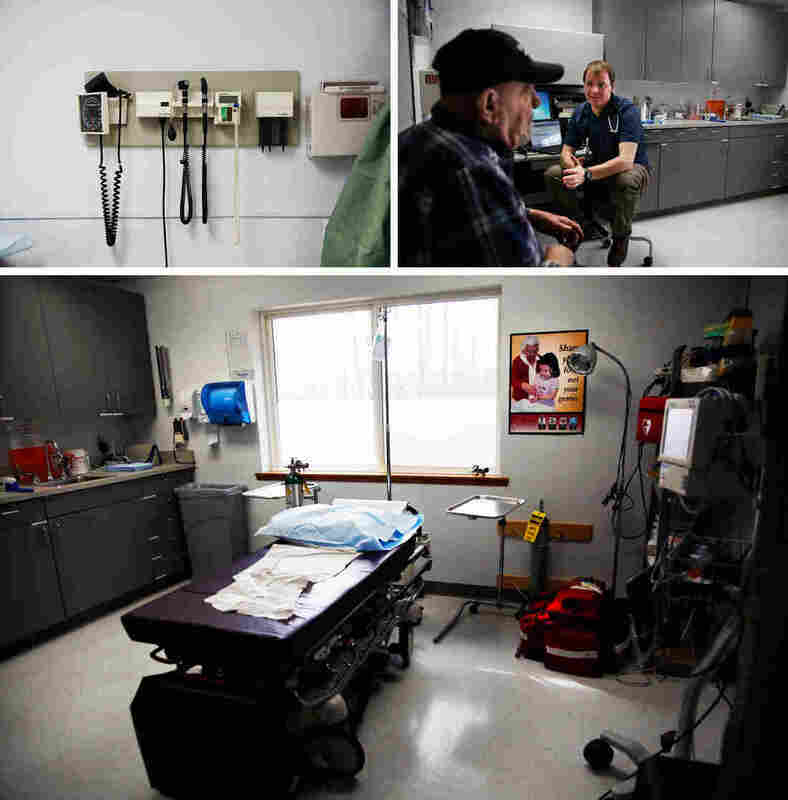 More than 32,000 Alaskans have gained health coverage through Medicaid expansion. McMahan worries about what might happen to his patients if the ACA is repealed and replaced by Congress: "I think if the Medicaid expansion is undercut, people will go without care," he tells me. "They're not going to be able to afford it." Even though the current health care debate is taking place thousands of miles away from his clinic, it hits home. "It's amazing how politics impact my day-to-day life when it comes to just getting somebody basic, basic care," he says. For now, though, Dr. McMahan turns to his immediate concerns: He has more patients to see, and more stories to hear.